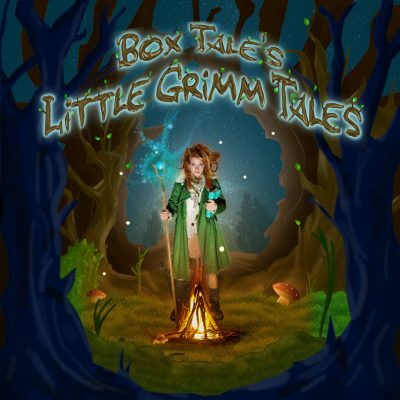 Box Tale’s Little Grimm Tales is a brand new co-production for 2019 with the Everyman Theatre, Cheltenham. We regret that these tickets for this event are only available from the Parish Office in St George’s open Monday to Friday 9.30am to 2.30pm. Receiving great critical and audience acclaim wherever they go, their touring calendar has included: the Lyric Hammersmith, Wilton’s Music Hall and the Wigmore Hall, London; Bridgewater Hall, Manchester; and the Broad Stage, California. They have had three productions commissioned by the Everyman Theatre, Cheltenham, with the most recent being The Wind in the Willows. We were also commissioned to create a new Oscar Wilde adaptation by the William Andrews Clark Memorial Library, UCLA. We have had the honour of collaborating with world renowned choral ensemble The Sixteen and Guardian Charity of the Year 2016 award winners Music Action International. Their production The Wind in the Willows has been seen by over 6,000 people to date and Box Tale Soup’s work in general has been seen by around 40,000! The core of the company consists of Noel Byrne and Antonia Christophers, who created Box Tale Soup and now work for the company at all times. The original music for our shows is created by Dan Melrose, with occasional help from other musical friends. Antonia graduated with a BA Honours degree in Drama and Theatre Studies from Royal Holloway, University of London. She then went on to train as an actor, and gained an MA in Classical Acting from Central School of Speech and Drama. Her theatre credits include: Anne Prospere in Divine Marquis at the Barons Court Theatre, London; Elaine in The Graduate, Buxton Opera House and UK tour; Louise Kendal in My Cousin Rachel at the theatres of Aldeburgh and Southwold; Juliet in Romeo and Juliet at the Pomegranate Theatre, Chesterfield. Her television credits include: Mhaegen in the award winning HBO series, Game of Thrones; Miss Peters in the acclaimed BBC drama, The Hour. Noel graduated with a BA (Hons) in Theatre Arts from Manchester’s highly regarded Capitol Theatre School. Having worked for several years in this field, he then went on to gain a PGCE from the University of Leeds. Noel has been involved in everything from Shakespeare on stage to voice and motion capture for video games, often creating and devising new work, including pieces for Manchester’s Contact Theatre and London’s Royal Court. Noel has also worked on television, appearing in the BBC’s Doctor Who, The One Show and Mission 2110, among others. He has even been a dinosaur. In addition, Noel is also an award-winning street performer who has performed around the world, and worked regularly at London’s famous Covent Garden.